One of the most decisions you can make about your home is the choice of your doors. Doors express your personal style and taste and will really affect the overall look and performance of your home. Doors can even add to the value of your home. Exterior Glass Doors for entry ways, bedrooms and patios are safe, secure, energy efficient and allow natural light to brighten up your home while allowing views that solid doors do not allow. Looking into exterior glass doors for your home? There are numerous choices and you need look no further than Tri-City Glass to give you all the options that you can handle. As a local Southern California company that has been in business for nearly four decades, we have developed long-standing relationships with all of the top manufacturers and distributors. We focus on helping you make the right choice that will fit and reflect the character of your home. Once your choice is made you can count on Tri-City Glass to install your doors with expertise and efficiency. Using our buying power and installation expertise ensures you will find the perfect exterior glass door, sliding glass or a French / patio door and have it work perfectly for years to come. 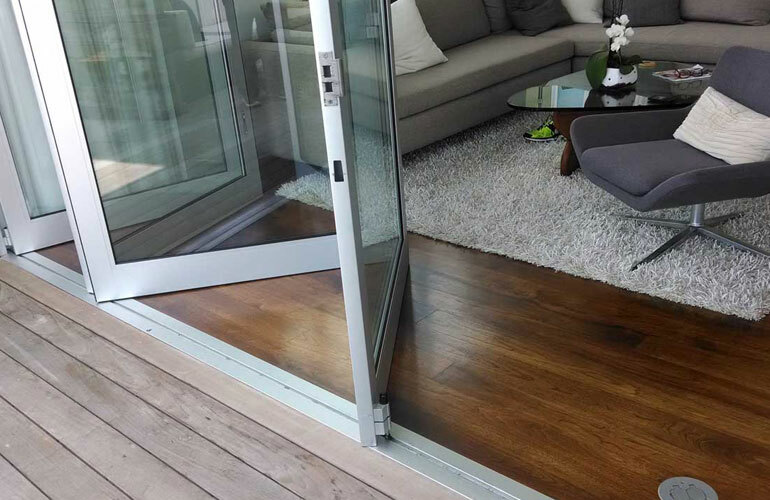 The sheer variety of features being used today in exterior glass doors is simply astounding. If you imagine it, someone is probably already doing it. If you’ve seen it in a magazine or home improvement show, odds are Tri-City Glass supplies it. You will be able to find glass panels with anywhere from a ¼ view to a full view, and everywhere in between. You will also find all types of glass from clear to textured, tinted, and decorative… just to name a few. There are also a number of unique types and styles of exterior glass doors. Some of these include the stacking, pocket, and bi-fold wall systems. The bi-fold exterior glass doors are quite interesting. If you have ever have sliding closet which opened up into two or more panels, this is basically the same way a exterior glass bi-fold door will function. . These large glass panels are connected by hinges with each panel simply folding on top of its adjacent panel when opened. When closed, it once again returns to the fully flat position. This type of door will handle more glass than many of the other options, which gives it a rather unique design effect. The frames and panels are also thermally broken to allow for improved energy efficiency. They can have a variety of metal frames as well, including light weight aluminum. We can solve any of your exterior glass doors installation and repair needs. Whether it’s a small repair, hardware replacement or even a broken window pane, Tri-City Glass prides itself in handling the big projects as well as the small ones.